If you dabble in the public lobbies of certain racing games often, sights like this will be all too common. Even if you don’t get slammed from behind the braking zone of the first corner you’re not out of the woods yet - being T-boned out of the race by someone cutting across the inside of the track (whether on purpose or accidentally) is still a real possibility. 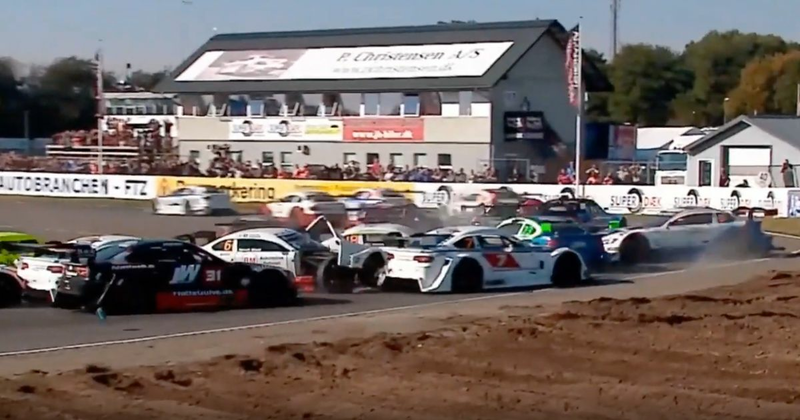 That’s pretty much exactly what happened at the start of this Danish Supertourisme race from last year. Contact at the back of the pack sends two cars skating across the grass on the way to presenting a sudden surprise to the cars further up the order. Quick, someone restart the lobby!